We’re delighted to announce that Andrew Sharman’s new book is out now and available for order in our shop on this site. 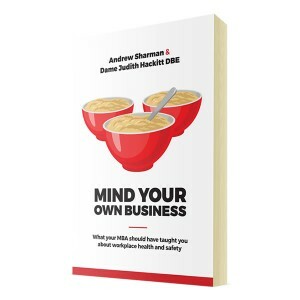 Mind Your Own Business is co-authored with Dame Judith Hackitt DBE, former Chair of the Health & Safety Executive, the British safety regulator. Aimed squarely at enhancing operational leaders understanding and impact in workplace safety the book Mind Your Own Business is a practical, inspiring guide for modern leaders striving to regain a sense of balance when it comes to workplace health & safety by building shared accountability and measurable improvement both in safety performance and organizational culture. 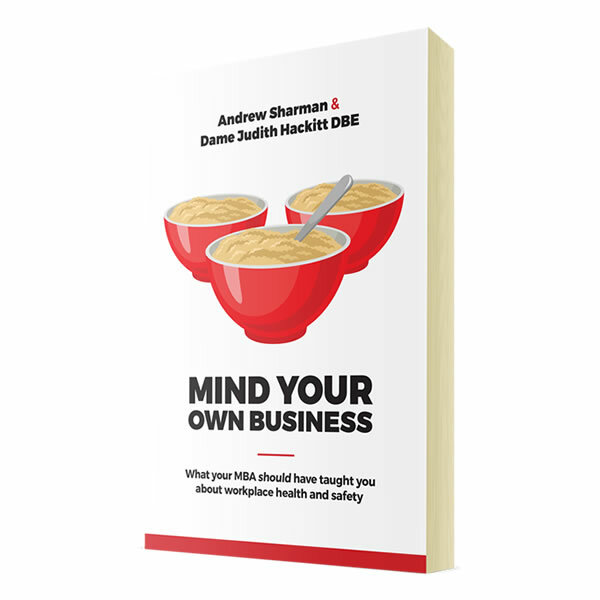 This book explains exactly how you can lead and manage safety efficiently and effectively by sharing with you just what your MBA should have taught you about workplace health & safety. You’ll learn how to get the balance just right for your organization and as a leader create safety in a way that returns rapid and significant value along the ‘triple bottom line’ of people, planet and profit. Professor Andrew Hopkins, sociologist and best-selling author of ‘Learning from High-Reliability Organizations’, ‘Failure to Learn’ and ’Safety, Culture and Risk’.